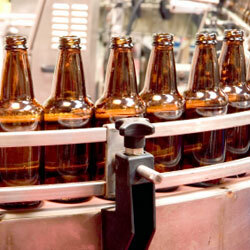 Purchasing is the control point for all the materials and outside processing used in manufacturing. It is the first opportunity to contain cost, control cash and contribute to profitability. CornerStar Purchasing Intelligence delivers added control and big picture insight. 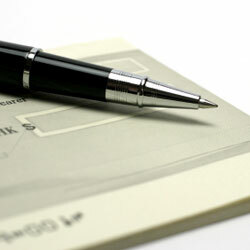 The largest dollar entry on the balance sheet for most companies is the on-hand inventory. The business potential of this cash investment is enormous. 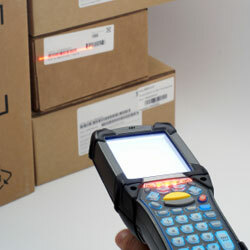 CornerStar Inventory Intelligence delivers the profit-building insight you need. Competitive advantage requires constant manufacturing process improvement. Cost and cycle time reductions, quality improvements and enhanced productivity increase profitability and customer satisfaction. CornerStar Manufacturing Intelligence will modernize your information factory. 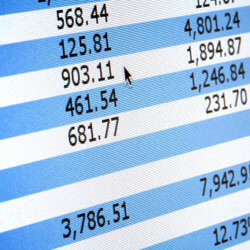 Sound financial analysis is key to effective business strategy. Management must have timely access to information. CornerStar Finance Intelligence delivers the right information to the right people. increase sales and competitive advantage. The face to any Business Intelligence solution brings the information together in a consistent look and feel, while simultaneously providing the right tool for the job. 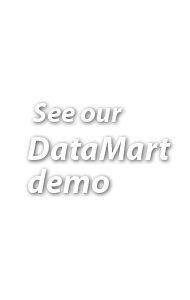 CornerStar works seamlessly with market leading reporting and OLAP tools from Cognos. 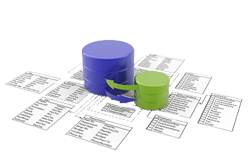 CornerStar Aurora offers quick, easy and powerful data access. And with ultimate flexibility in mind, CornerStar was designed specifically to integrate with many other report writers and analysis tools. 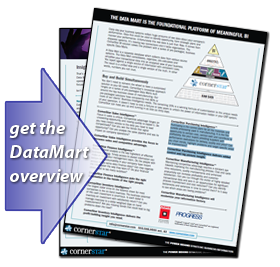 A practical framework of Data Marts designed to give your business the information without the overhead. Business Intelligence isn't a huge enterprise data warehouse that takes years to build. Business Intelligence by CornerStar is flexible and focused Data Marts on individual areas of your business. 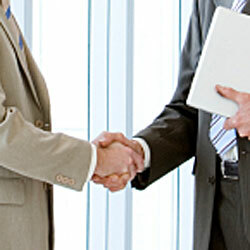 CornerStar is a team of competent specialists who understand business AND technology.